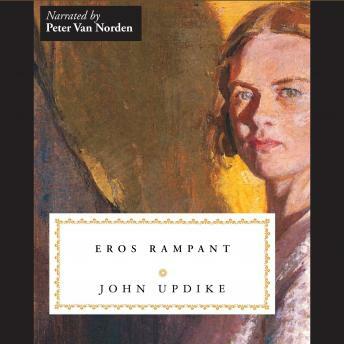 The Maples Stories consists of eighteen classic stories from across John Updike’s career, forming a luminous chronicle of the life and times of one marriage in all its rich emotional complexity. In 1956, Updike published the story “Snowing in Greenwich Village,” about a young couple, Joan and Richard Maple, at the beginning of their marriage. Over the next two decades, he returned to these characters again and again, tracing their years together raising children, finding moments of intermittent happiness, and facing the heartbreak of infidelity and estrangement. In this ninth story, “Eros Rampant,” the loves and loyalties of Maple family are revealed, to the heartbreak of some.